This weeks must buys include another issue of Elephantmen, Richard Starkings has kept this series at a super high level of comic mastery with his comic veteran talent. 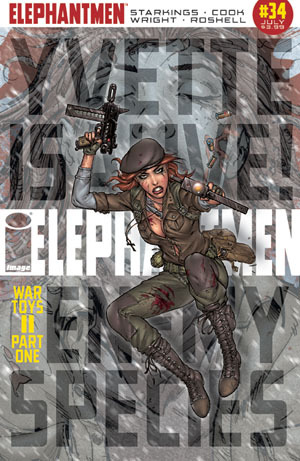 Elephantmen #34 continues the War toys story which will be a total must read for anyone everywhere. DC are storming ahead with Flashpoint which could be one of the last story arks of the current DC generation of comics.